When you need to buy a new car, one of the biggest questions on your mind is likely how you’ll pay for it. 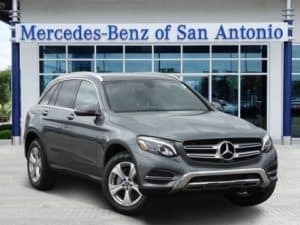 In an ideal world, you would have the cash lying around to purchase a new Mercedes-Benz and drive it off the lot today. However, this is not usually possible, which is where auto financing comes in. Before heading down to the dealership, it’s crucial to learn more about car loans and how you can get the best one possible. Along with income, credit score is the biggest factor lenders take into consideration when you try to obtain a loan. For this reason, you should determine your credit score prior to beginning your car search. The higher the score is, the lower the interest rate and the monthly payments will be. You can generally get a car loan even if you have bad credit, though you will end up paying much more. Use a free tool like Credit Karma to check your score and understand the different factors that affect it. If the score is below 650, you may want to hold off on your car purchase for a bit and take steps to improve it before trying to take out a loan. If you have excellent credit (750 or above), you can likely get the best financing rates from the dealership. 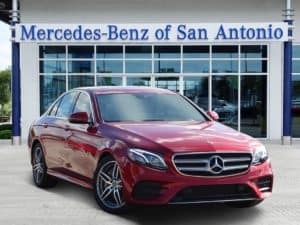 The lower your score is, the more important it is for you to shop around for quotes before you buy a Mercedes-Benz in San Antonio, TX. In doing so, you can be sure you’re getting the best rate possible. Though you’ll need to pay more than someone with good credit, there is no need to take the first offer you get. Check out all your other options like online lenders, local banks, and credit unions to see where you can get the most competitive interest rate. Shorter loan terms mean lower interest rates, but higher monthly payments. This is exactly what you want as you will be paying less in the long term. With a longer loan term, you’ll be paying more interest on the vehicle. Additionally, banks often charge higher interest rates on loans with longer terms. Try to keep the length of the loan term as short as you can while still being able to afford the monthly payments. You can also avoid paying more than the car is worth by putting money down when you buy the car. If you have good credit, dealerships don’t usually require you to make a down payment, though it is still a good idea. Try to put at least 20 percent of the total cost down. Also, avoid financing the miscellaneous vehicle expenses like taxes, registration fees, and other extras. Though the dealer may be happy to include these fees in the loan, it will only mean you’ll end up paying more.